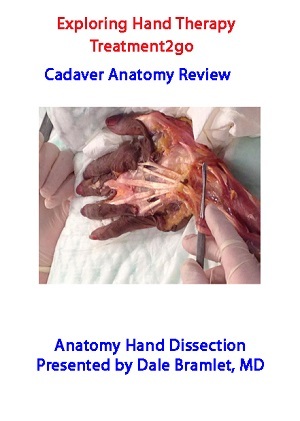 This is an awesome cadaver dissection of the hand and wrist Instructed by Dale Bramlet, MD,orthopedic hand surgeon. Dr.Bramlet discusses vital hand and wrist anatomical structures, surgical approaches, and certain pathologies that are clinically relevant for OTs and PTs. 2.0 contact hours with an online exam. This intermediate online movie course is excellent for therapists, medical doctors, interns and anyone wanting to explore the anatomical landmarks and more of the hand and wrist. Upon successful completion (80%) of an online exam you will immediately receive your certificate via email. AOTA APP course. Live Chat available.